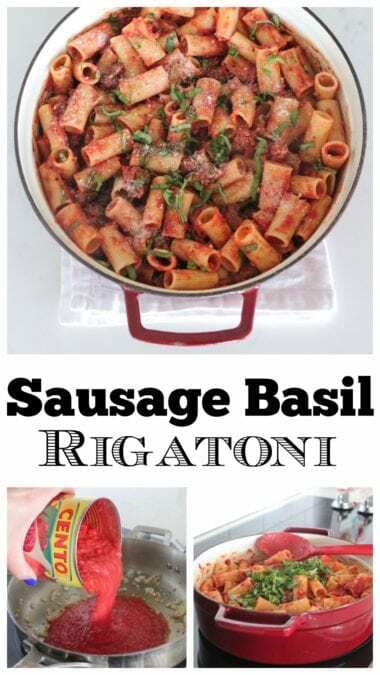 This Sausage Basil Rigatoni with my simple Sausage Basil Rigatoni makes the perfect weeknight dinner! 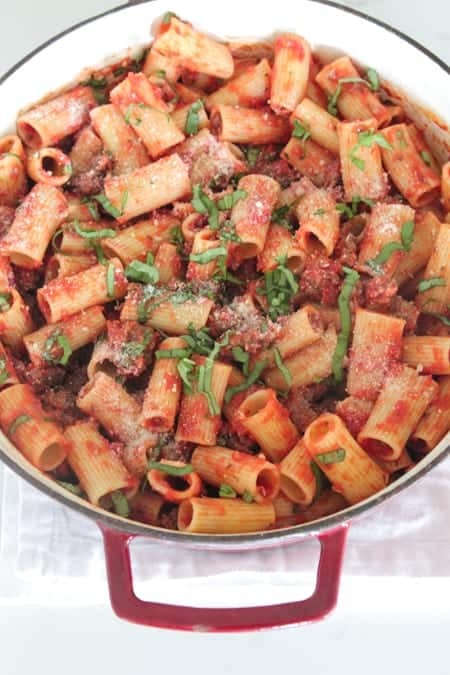 You are in for such a treat with my Sausage Basil Rigatoni! 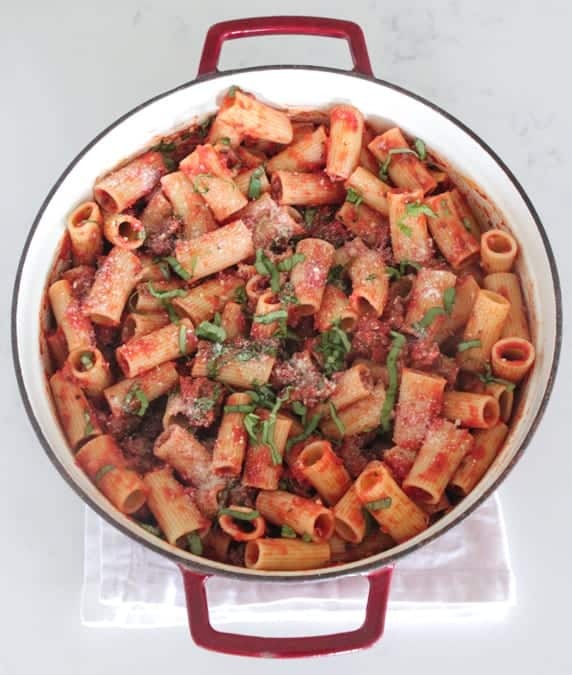 Pasta night happens quite often at our home each week. 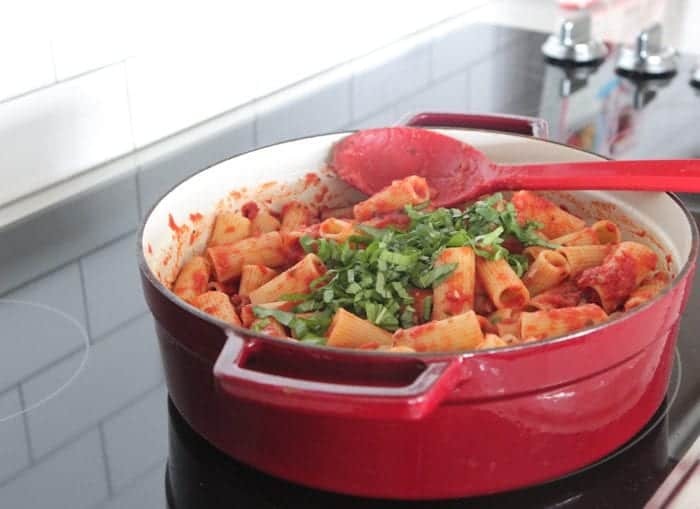 This gorgeous pot of pasta with my homemade sauce, ground sausage, fresh basil and sprinkles of Parmesan cheese is going to make your family very happy. It’s one of our simple favorites. Hope you enjoy! 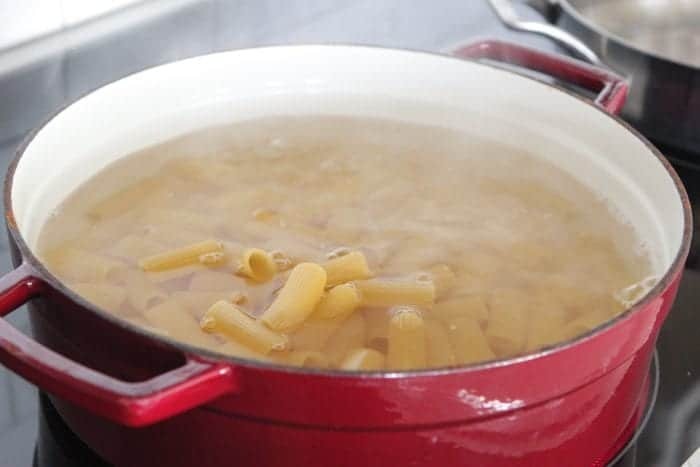 My biggest tip with cooking pasta, is be sure to not overcook it. In fact, I cook it 1 minute less than the package recommends to ensure it still has that nice bite to it. 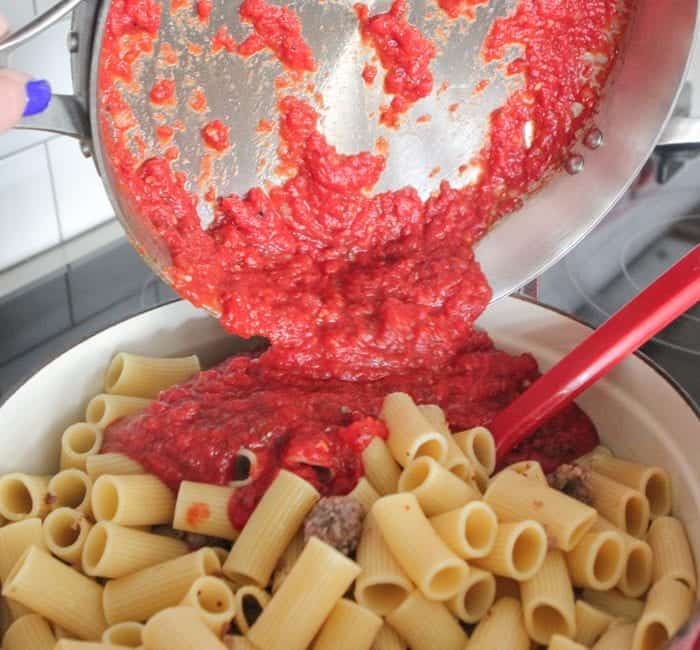 Brown your sausage then add your cooked pasta back to the pot. 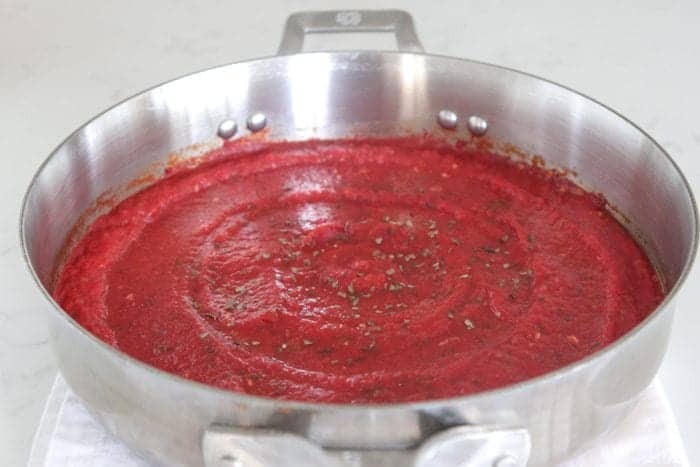 Prepare my simple 10 Minute Homemade Pasta Sauce. 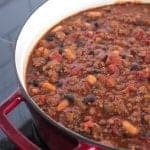 Really tastes like it’s been simmering all day. This one’s a keeper. 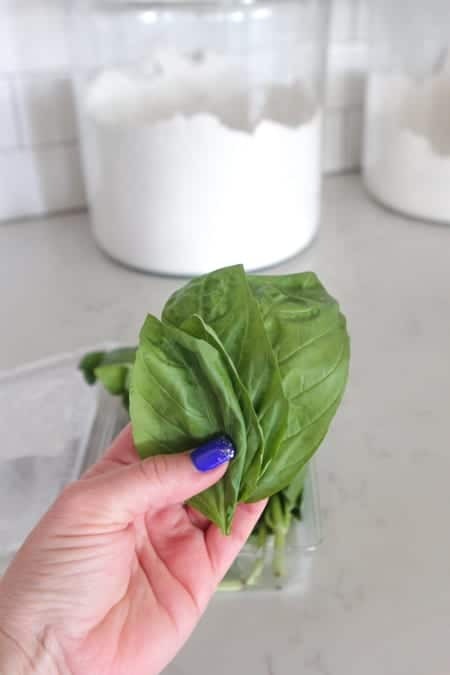 Fresh basil up next! I find my perfect leaves, stack them, roll them then thinly slice. 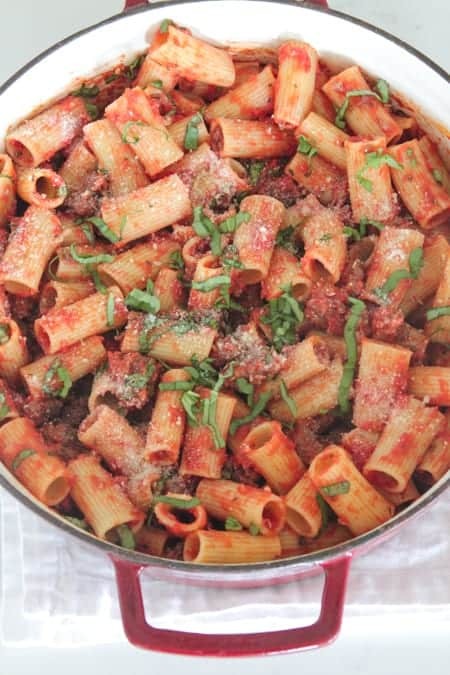 Sprinkle with grated Parmesan cheese, more fresh basil and dinner is served! Enjoy. 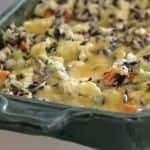 For more Picky Palate dinner ideas click HERE. Cook pasta according to package directions being careful to not overcook pasta. Drain and set aside. Brown sausage in large pot over medium heat until cooked through. Stir in cooked pasta, salt, pepper, 10 minute Homemade sauce, and fresh basil. 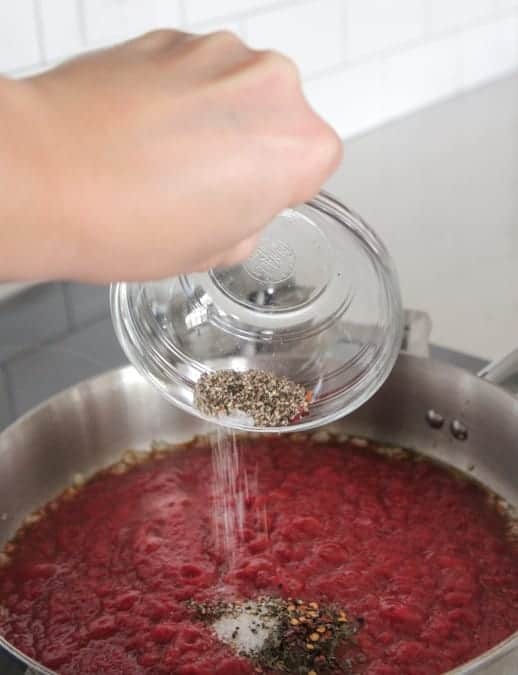 Stir gently, sprinkle with Parmesan cheese and serve warm. A great dinner idea! It is sure to have my family running to the table! 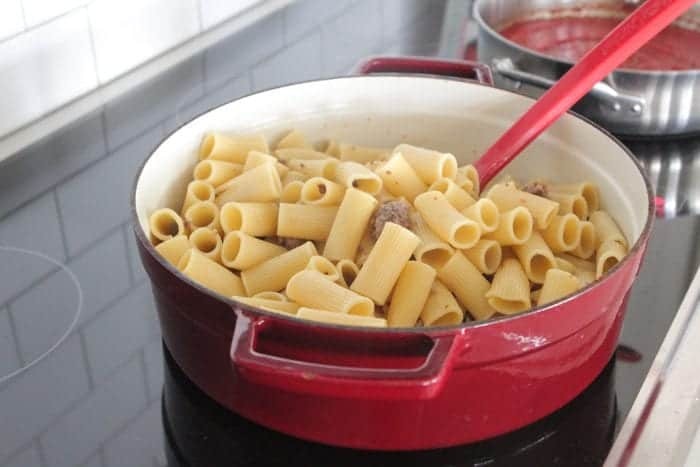 Such a fab idea for a weeknight meal! Now this a pure comfort for me. Looks delicious! Delicious and so tasty looking post this is. 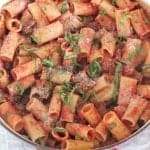 Am feeling here so hungry and like to taste this recipe. Now am going to try this at my kitchen.